As soon as I found out I was pregnant, I bought several books to help me prepare for the baby. I haven’t bought an actual book for a really long time, except for cookbooks. I read books on my Nook app or Kindle, much more convenient to have all the books in the one location electronically. But for the pregnancy books, I bought the actual hard copy of the books. I figured I can give them to my friends after I’m done with them. 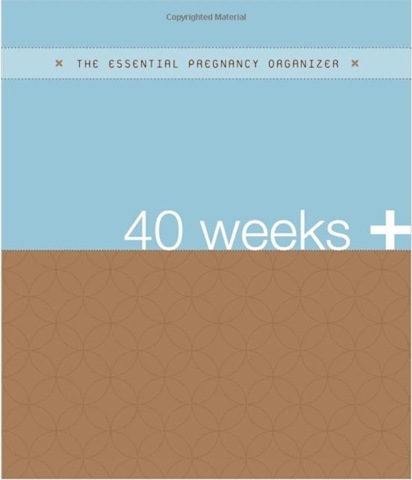 The Essential Pregnancy Organizer – I love organizing things and creating a list, and this book helped me organized my thoughts. It was also very helpful with the questions I needed to ask when I was searching for OB/Midwives in my area for pre-natal care. It gives you a guide on what things that needs to be done during your pregnancy. I like structure and timeline, so this was very helpful to me. 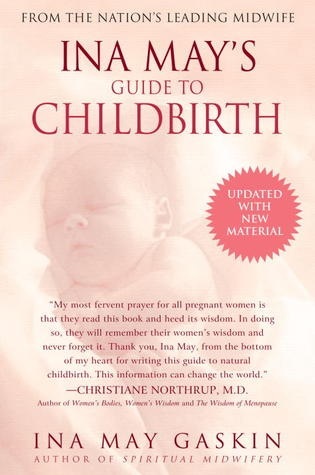 Ina May’s Guide to Childbirth – I think the misconception about this book was that it was only for mother’s who wanted to deliver naturally, without drugs. Regardless of your birth plan, I think this book was a good read because for me, it gave me insight on how powerful our bodies can be, how our bodies know what to do when you let it be (without intervention) and how empowering it feels for women to give birth. Half of the book are birth stories, the other half are Ina May’s thought on childbirth. I’ve never read material like this in other pregnancy books and it really helped me be less afraid of labor and delivery and be more confident that my body is conditioned to give birth. 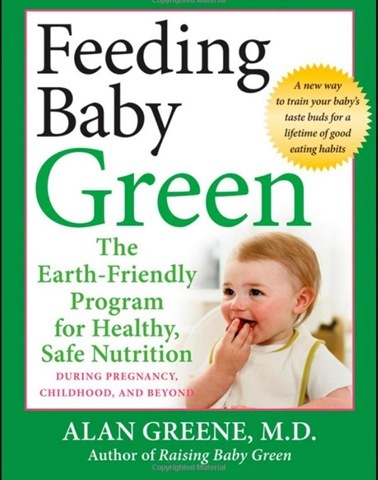 Feeding the Baby Green – I love this book because it covers nutrition during pregnancy, after pregnancy and beyond. It has a few recipes and it provides guidance on recommended foods to train your baby’s taste buds. There are different types of foods beneficial to the baby, listed by trimester, and how it affects their development. 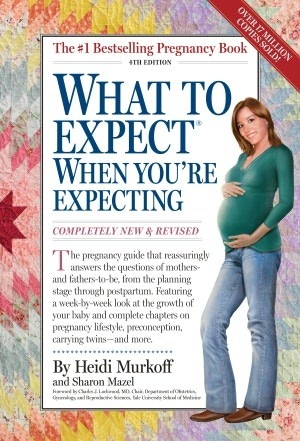 What to Expect When You’re Expecting – To be honest, I read more of the free Iphone app version of this book more than the actual book. The phone app version is convenient, and you have something new to ready daily and weekly. The book version is more in-depth and goes into a lot of details, some parts I didn’t like to read because it made me nervous and anxious. I’m realistic and I know there are risks during pregnancy, so I already have that in the back of my mind. But reading some of the items in the book on what could go wrong, just added unnecessary worries, in my opinion. If I really had a question about something urgent, I call my midwife and they have been great about talking me through it. Do you have any book recommendations that was beneficial to you during your pregnancy? A book to read: Bump it Up by Amy Tara Koch. You’ll love! glad to see ina may on there, henci goer’s guide to a better birth was my top birth book out of 7 or so that i read. hypnobabies program is also wonderful!